Ariba is our purchasing system, which allows us to make electronic transactions with our suppliers. If you’re one of our suppliers, you’ll need to participate in our procurement process, using the Ariba software toolset. It’s an easy way to allow full automation of purchase orders and invoices, while making transactions quick and simple for everyone. More Visibility – With your Ariba Network account, you can see your invoice from creation to approval and all the way through the acknowledgement and payment stages – all without the need to contact multiple sources. 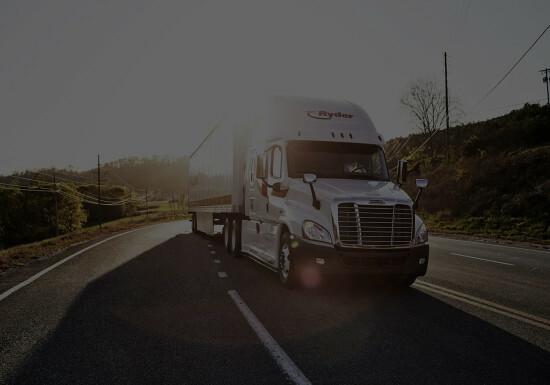 Streamlined Business – The Ariba Network is designed to work seamlessly with the Ryder purchasing system, taking time and money out of the process of procuring items to payment, while lowering the number of manual processing errors. More sales – Some of our suppliers have the chance to create catalogs, which allows users to search for items and easily add them to their shopping cart. New business opportunities – By fully completing your profile, other Ariba buyers will be able to view your company information and you may have the opportunity to link other customers to your Ariba Network account for future electronic commerce. Interested? Use the links below to set up your account today. Enter the ‘Company Information’. Know that the only required fields are those marked with an asterisk (*). Enter the ‘Administrator Information’. This should be the person who is responsible for processing orders and invoices for Ryder. Once again, only fields marked with an asterisk (*) are required. Ariba will send a confirmation email to the address used during registration. Access your email address and click on the attached link to confirm. Think you’ll be using Ariba catalogs or invoicing technologies? If so, you’ll want to set up an Ariba Test Account. From the home page of your account, Click the 'Test Account' link in the upper left hand corner. You’ll see the same screen as you saw before but there will be a red Test Mode tag at the top of the page. Questions? Please don’t hesitate to email us at IASupport@Ryder.com. This opens the fields for tax. Click the Go link next to Ryder System, Inc. Enter your invoice number and the invoice date. The invoice number for the original invoice has already been submitted, so you’ll need to use a different invoice number or simply add a letter at the end. Click one of the Add to the Header buttons and choose Shipping. This will open the Shipping Date and Cost fields, of which only the cost is required. Click Next, then Submit. Click the white icon under Include and a green check mark will appear. From here, click Add to Line Item and select Tax. This opens the fields for tax, where you only enter the exact Tax Amount. Then click Next and Submit. Questions about your payment status? Contact our Vendor Services at 1-213-337-1892. Or if you have questions about Ariba orders or invoices, reach out to the business owner or Vendor Services. Get ready to receive electronic orders by getting familiar with your account settings. Get a quick overview of our P2P program and learn how to access your Purchase Orders, send Order Confirmations Ship Notices to your Ryder account manager, and handle electronic invoices using the PO Flip Method. If you’re looking for more info, log into your Ariba Network account. There, you’ll find more helpful guides and specifications to make your job as seamless as possible.